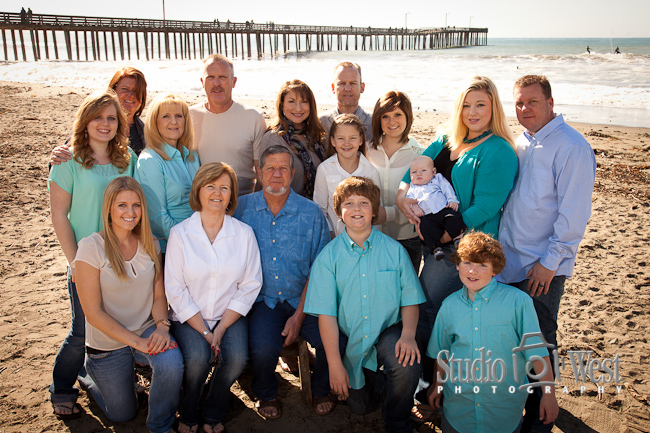 Instead of taking an exotic vacation to celebrate their 50th anniversary Richard and Peggy chose instead to rent a large house near the beach in Cayucos and have a family reunion. 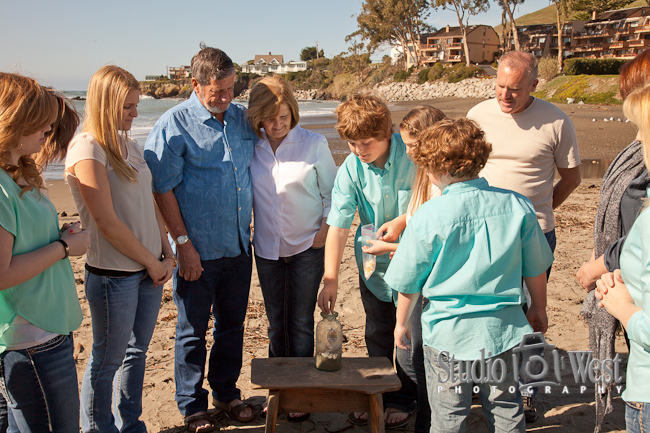 Part of the celebration included a shell ceremony and a portrait session to create photos that, I am sure, they will cherish for the rest of their lives. 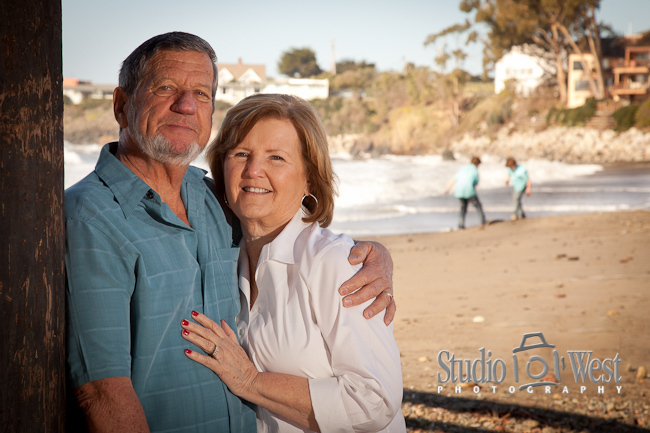 Whats better than a portrait with your grand kids playing on the beach in the background? 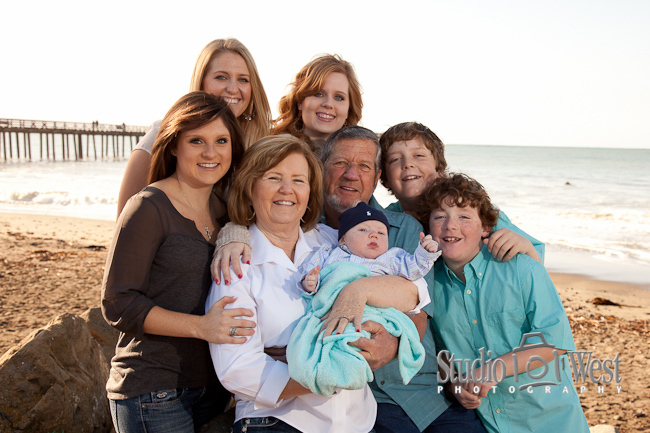 All their kids and grand kids playing in the background. 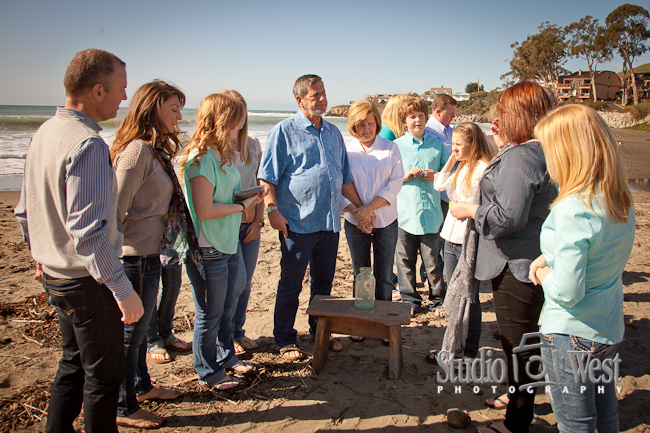 Part of the gathering included a ceremony where Richard and Peggy were presented with a large antique jar. 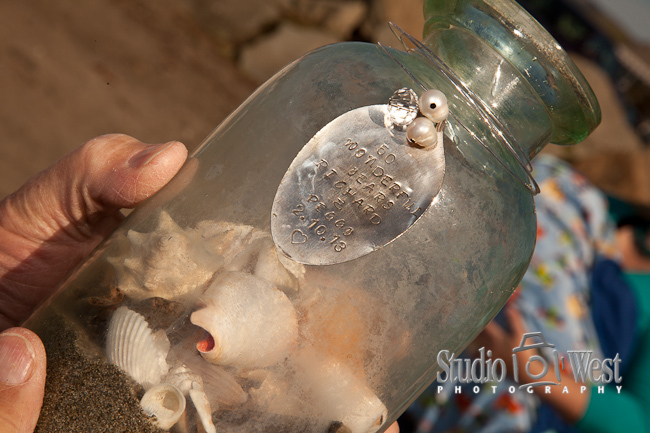 After adding some beach sand and a small shell for each year of marriage each member added a larger shell that was unique to each of them. 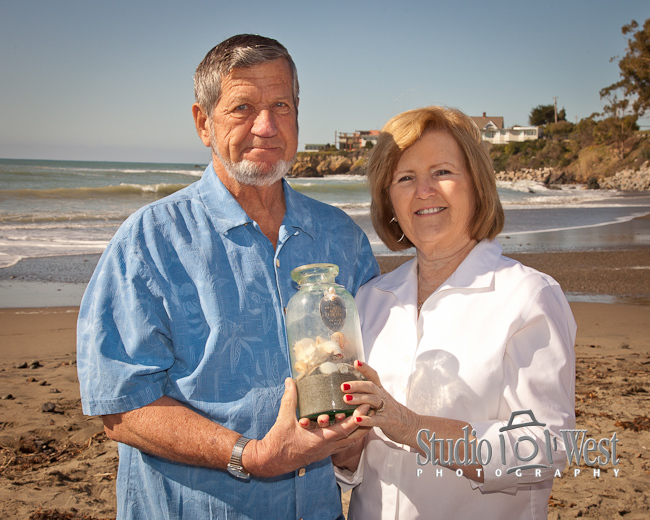 The jar had a hand made medallion attached that read, "50 Wonderful Years Richard & Peggy 2.20.13"
What a blessed couple. 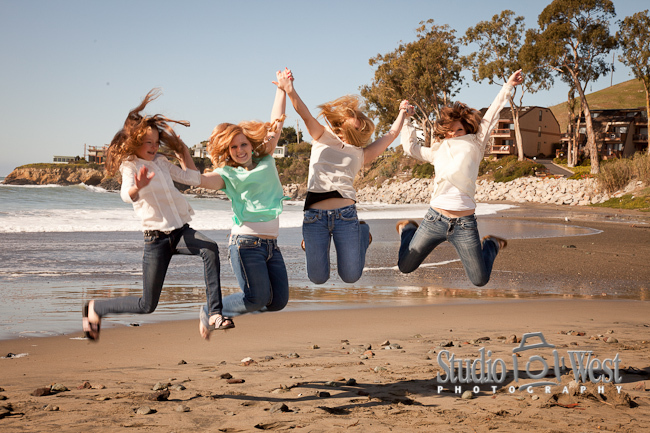 It was an honor to be asked to commemorate this very special occasion.